This bird is very common in Europe and the United States where it was introduced in 1890. 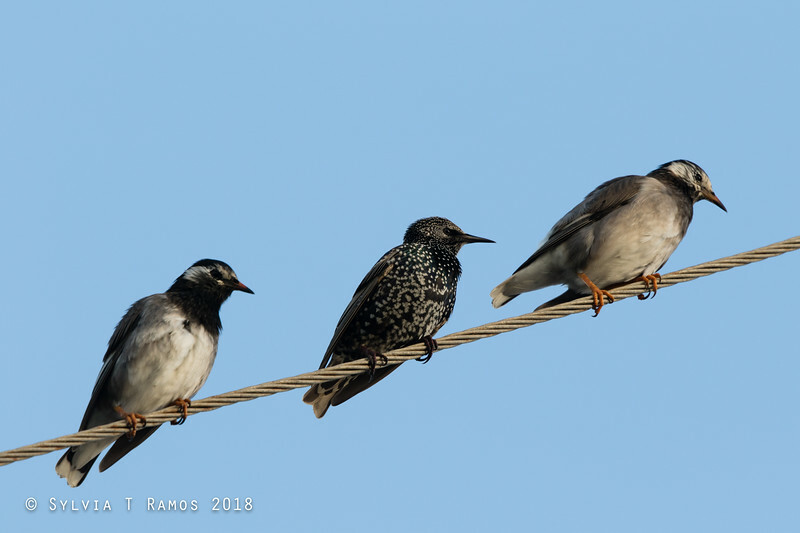 It is also known as European Starling. The story goes that a Shakespeare fan released 100 Common Starlings in Central Park, New York so that all the birds mentioned in Shakespeare's works would also be found in the US. Since then the birds have multiplied so much that they are considered pests. Here in the Philippines, they are rare visitors. The first sighting was in 2007 by Romy Ocon at Iwahig Penal Colony, Puerto Princesa, Palawan. In 2014 Richard Ruiz spotted and photographed a flock in Laoag. This bird was a surprise bonus lifer for us when we went to Laoag for the Canvasback. Tonji spotted it perched in a tree.